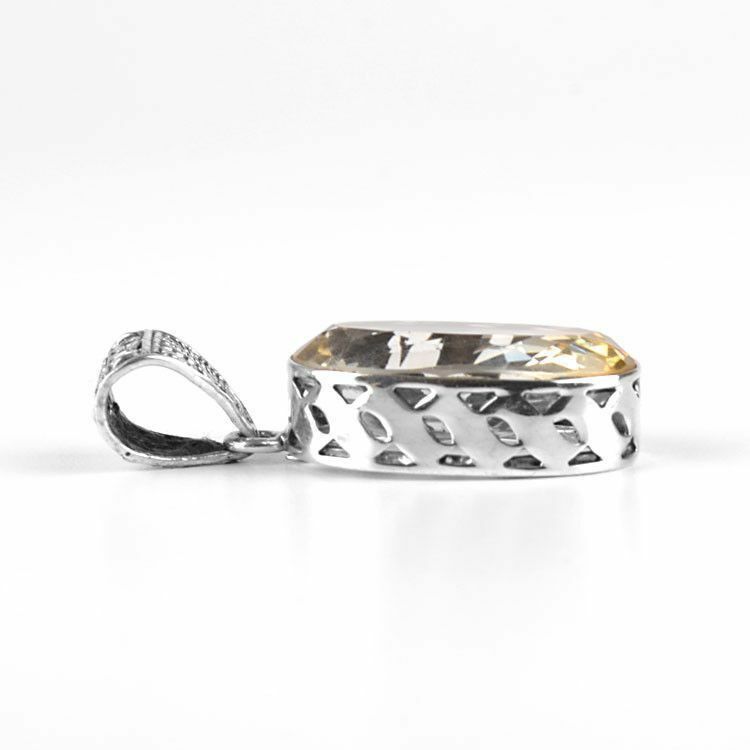 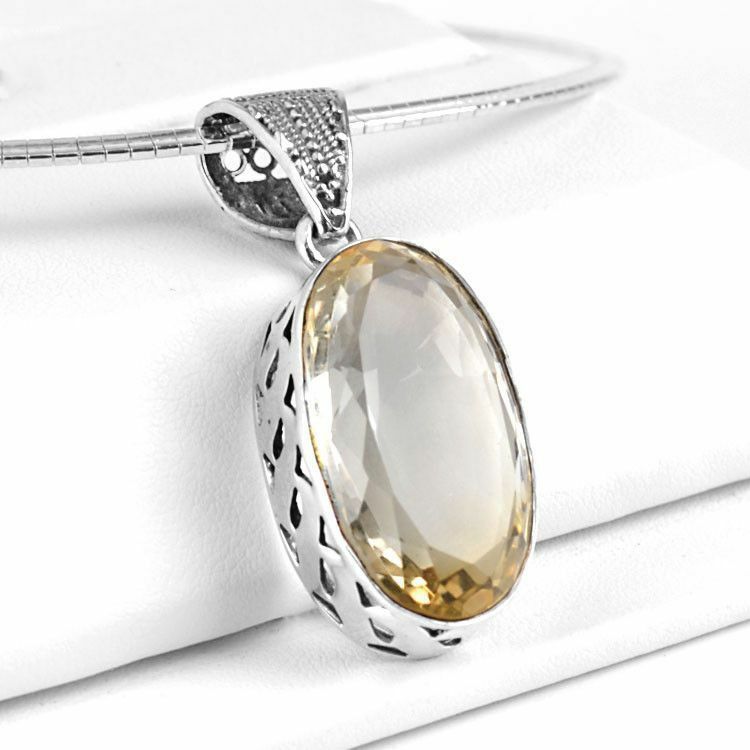 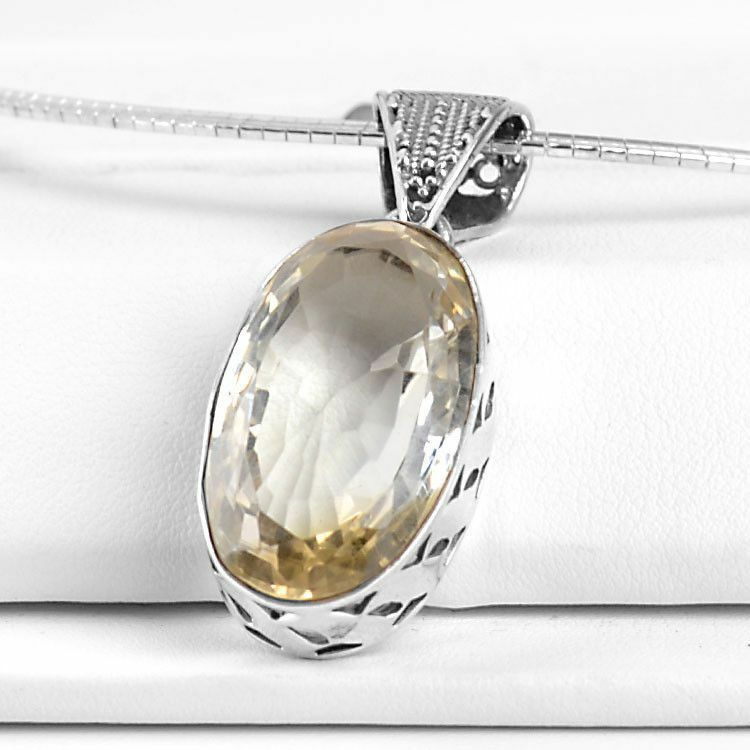 Add this almost-clear citrine yellow quartz pendant to your wardrobe for a unique way to wear crystal gemstones fashionably! 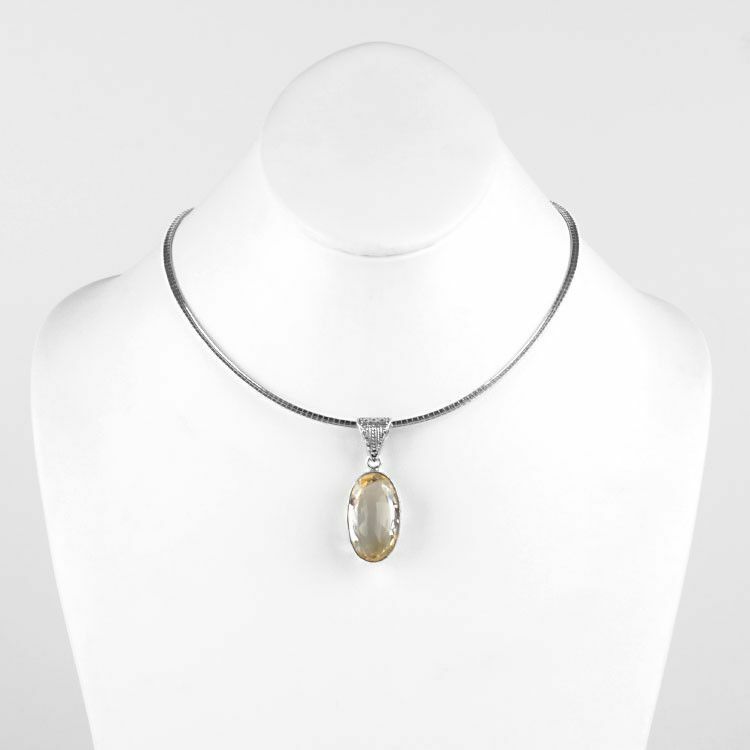 This large pendant (about 1 3/4" total length) is ideal for just about anyone. 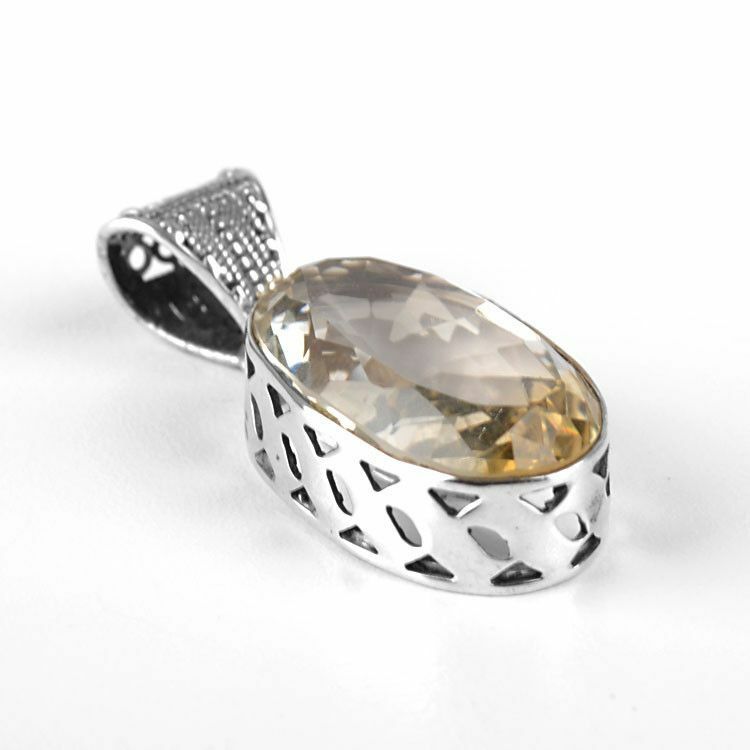 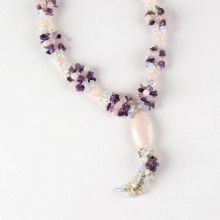 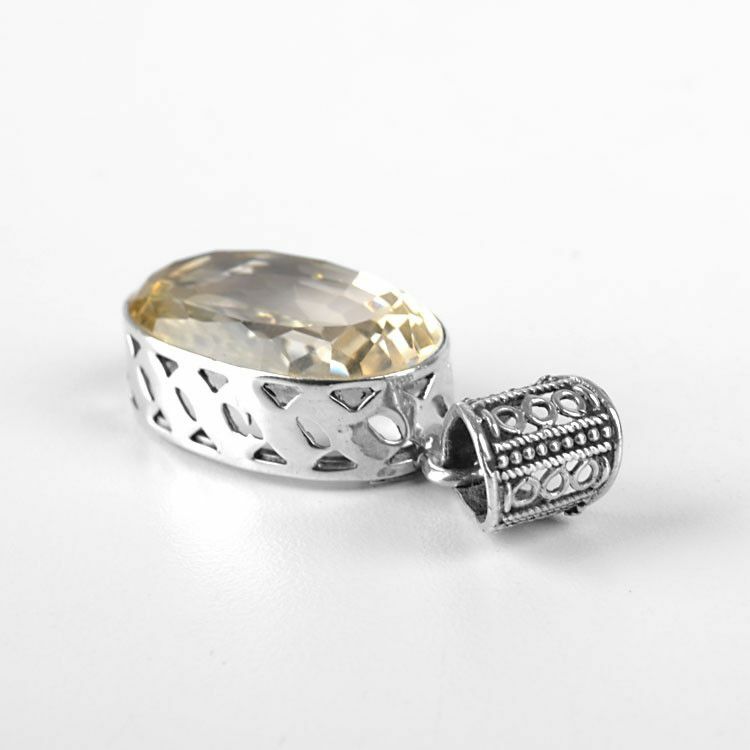 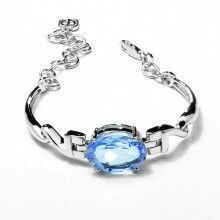 The oval gemstone has been faceted so that every way you look at it, you see different areas of sparkle. 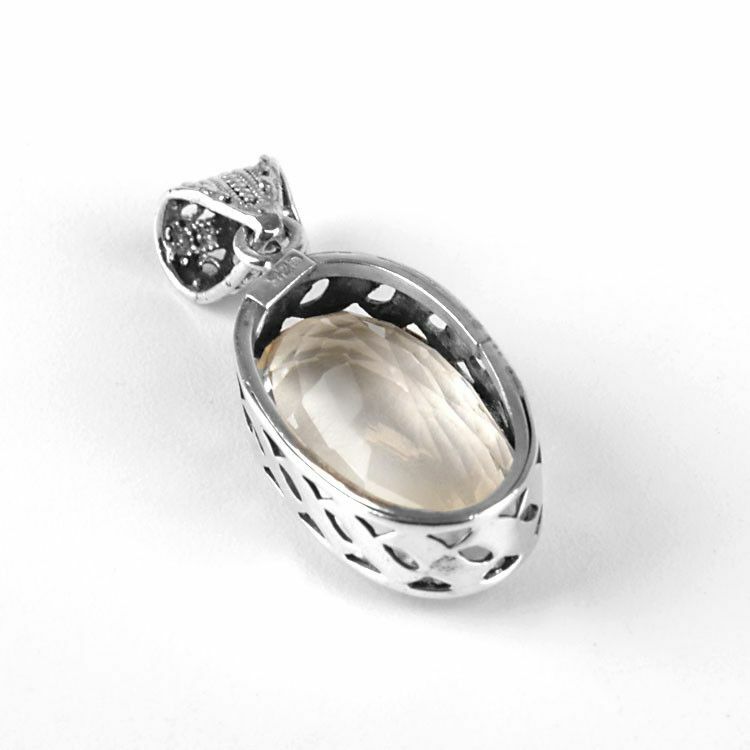 Set in 1/4" thick, stylized sterling .925 silver and finished off with a detailed bail.